Some people can’t sleep properly the night before their appointment. They hate feeling so anxious but they can’t shake it. “Is it going to hurt?” is on everybody’s mind whenever they sit in a dental chair and it’s true that the mouth is a very sensitive part of your body. However, with carefully administered anaesthetic, or in some cases sedation, dentistry does not need to be uncomfortable. At Cherwell Heights we are particularly good at helping nervous patients. 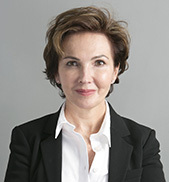 Edvina is experienced is an elected member of the Society for the Advancement of Anaesthesia in Dentistry and is very adept in using oral and IV sedation, local and topical anaesthesia that, combined with her ‘gentle touch’, will make all the difference to your care. Some patients start with sedation but build their confidence to reduce their need for medication. “ I would just like to say thank you for your care last Friday. As a very nervous patient I really appreciate the time and effort you and your team put in to making me feel as comfortable as possible…Nervous patients really need someone like you.” Mr T. J.